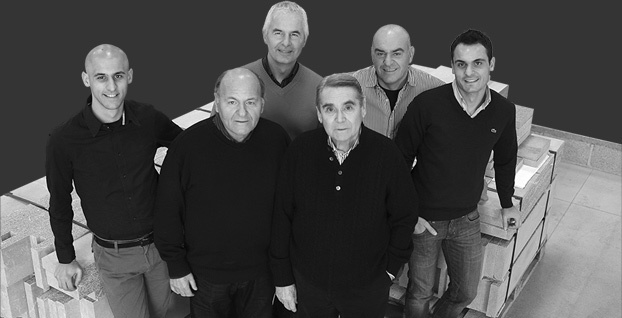 A new brand is born, CUDICIO Piasentina Stone, with a history that has its roots far back in time. In fact, CUDICIO Piasentina Stone is the ultimate expression of an ancient tradition that Friulana Marmi company has been pursuing with passion and experience for three generations, a tradition made of men and work, materials and chisels, quarries and "picapiera", a typical Italian story made of experience and innovation, technological know-how and love for their work. CUDICIO Piasentina Stone was born to embellish the history of piasentina stone through a process that blends research, design and tradition, with a range of products that interprets the elegance and refinement of this material with unique characteristics. Combining creative talent and attention to product excellence, CUDICIO Piasentina Stone interprets aesthetic stimuli and emotions capable of satisfying even the most demanding customer, offering solutions for the world of architecture and design.